The perfect desktop accessory to keep you cool! Quiet, efficient and sturdy, this little fan can be powered by a PC, laptop or USB wall adapter. It will provide a pleasant and continuous breeze wherever you place it. Powered metal desk fan includes metal USB mini fan, 3 rubber stubs, and a 1-year warranty card. Measures 5.70 x 3.93 x 5.76 in. 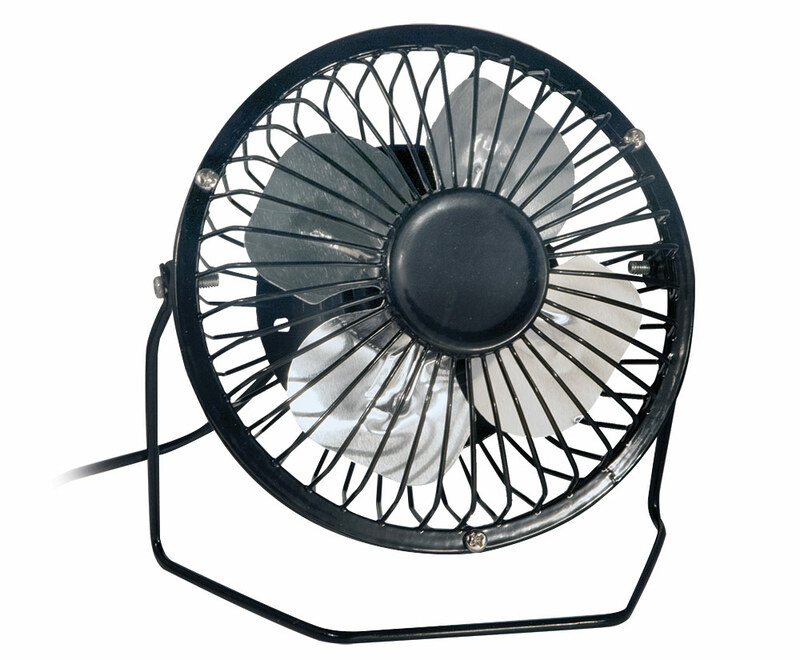 Fan diameter 3.77 in. Power supply DC5V.